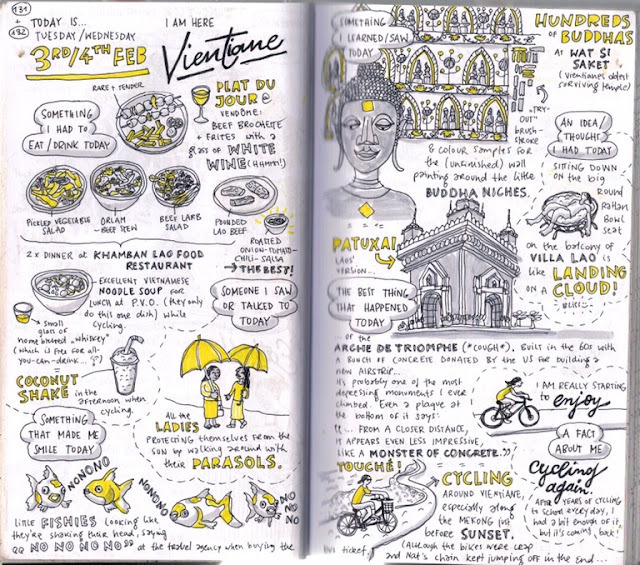 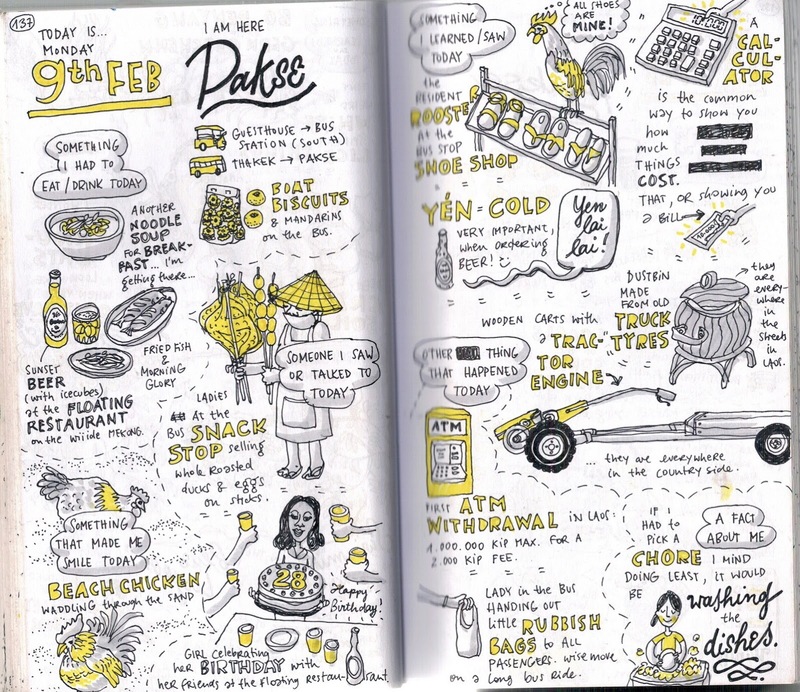 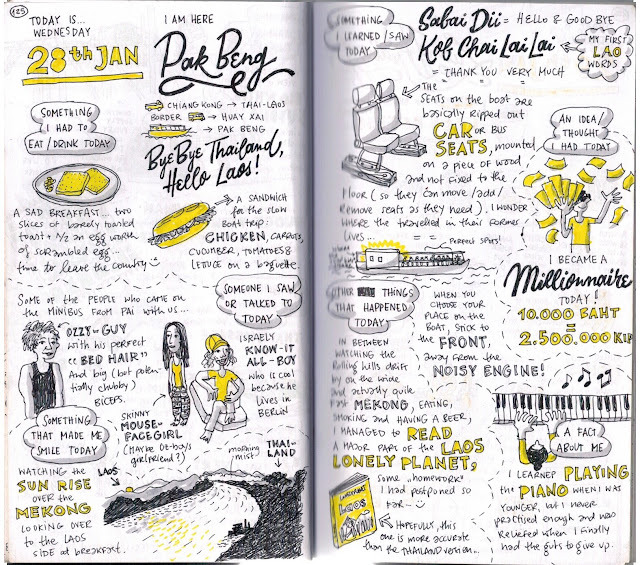 A travel journal done up in drawings and doodles is certainly a fun and creative way to record ones experiences. 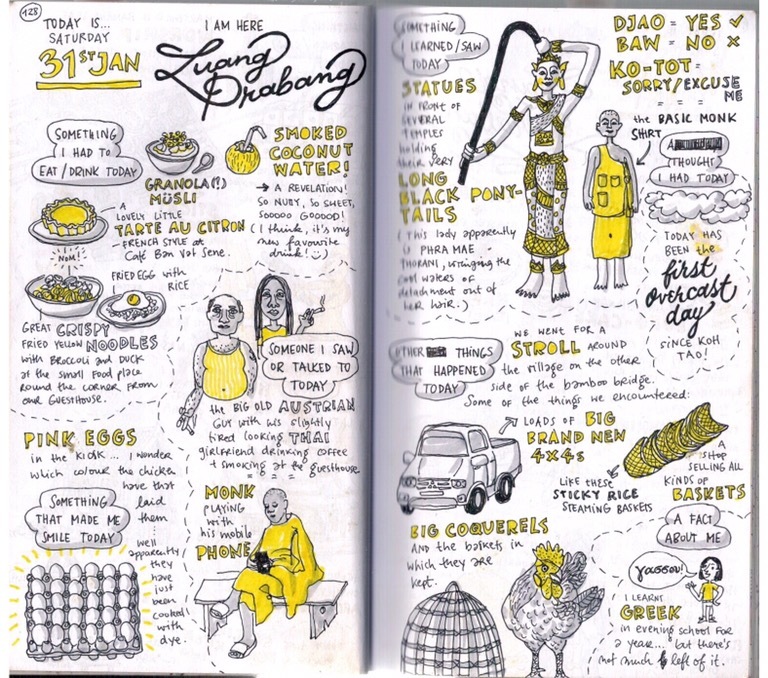 The ones shown here in this post were only 4 examples. To see more of her Laos trip, be sure to check out her website at SecretsFromTheRoad.com.